This is an 1892 marriage for Marcjanna Bykowski from the Swierczyn Parish. Thank you in advance if somebody could provide a translation. Marcjanna Bykowska, widow after late in the village Miałkie Wawrzyniec Bykowski on the 17th/29th day of July 1891, daughter of late spouses: Janoszewski (no info about their names), farmers, born and living in the village Miałkie located in the Świerczyn parish, 45 years old. this marriage was preceded by 3 banns of marriage announced in Świerczyn and bytoń parish churches on: 19th day of April/1st day of May, 26th day of April/8th day of May and 3rd/15th day of May of the current year. signed by the Świerczyn parish parson, serving as Civil Registrar. Thanks Marcel for the Bykowski marriage translations. The information was quite helpful and new to us. Thanks! I have two death records from the Byton Parish that I'm trying to determine how these individuals fit into my family tree. One is Jozef Kucek (1893) and the other is Marianna Zak (1901). Thank you in advance for any help. Could you please translate the record of marriage. Thank you in advance for the translation of Roman Bykowski's birth in 1908 from Piotrow Kujawski. 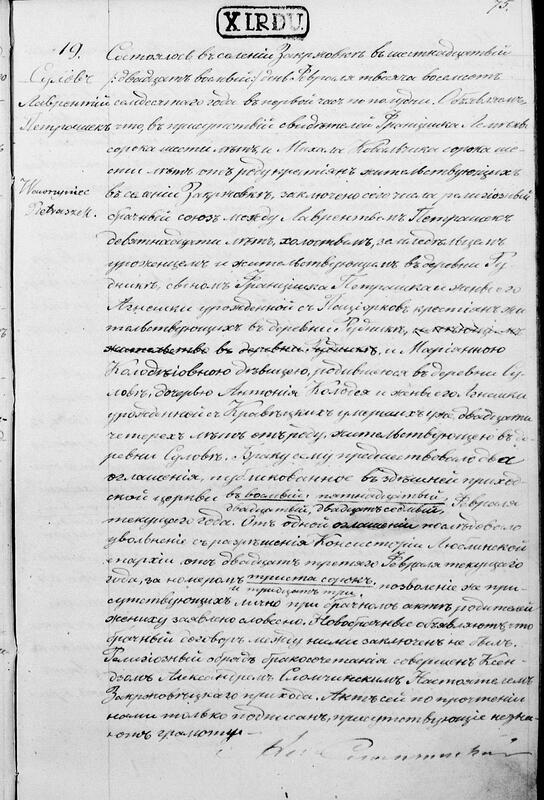 Could someone help translate this marriage record for Pietraszek/Kolodziej, I think it is in Russian. Would it be possible to translate the birth of my Grandfather Franciszek Pietraszek 27 Sept 1888. I have two scans that are attached, one should be the birth record from my grandfather Franciszek Pietraszek 1888 who lived about 8 k south of Bychawa. 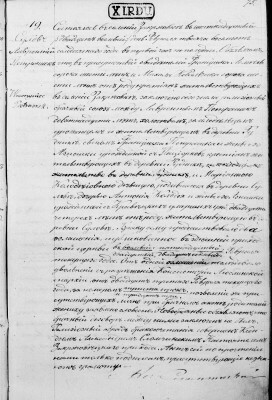 The second attached record should be the marriage record from his parents, Wawrzyniec and Maryana 1870. I would be happy to make a donation to a Pay Pal account or advice on how I could have these translated. It happened in the village Zakrzówek on the 16th/28th day of February 1870 at 1 p.m.
Marianna Kołodziej, a miss, living in the village Sulów born in the village Sulów, daughter of late parents: Antoni Kołodziej and his wife Agnieszka nee Krawiecka, 24 years old. this marriage was preceded by 3 banns of marriage announced in Zakrzówek church on: 8/20 and 15/27 February of the current year. Lublin Diocesian Consistory released newlyweds from the obligation of the third church announcement on the 23rd day of February of the current year, document number 340 and 33. Groom's parents, present during writing this marriage act, gave oral permission for this marriage. Religious marriage ceremony performed by the priest Aleksander Słomczyński, Zakrzówek parish parson. This act was read aloud and signed only by Us, the others are illiterate. It happened in Bychawa on the 18th/30th day of September 1888 at 4.30 p.m. Appeared: Wawrzyniec Pietrasek, 30 years old, farmer living in the village Stara Wieś in the presence of Mateusz Mróz, 30 years old and Stanisław Koper, 27 years old, peasants living in Stara Wieś and presented Us a male child informing that the child was born in Stara Wieś on the 15th/27th day of September of the current year at 7 p.m. with his legal wife Marianna nee Kołodziej, 32 years old. At The Holy Baptism held today the child was given the name Franciszek and the godparents were: Stanisław Koper and Marianna Moroniak. This act was read aloud to the declarant and witnesses, all illiterate and signed by Us. priest Wojciech Makara signature, Bychawa parish parson. Wow! Thanks much for the translation. I am very excited to learn more. I hope to continue exploring and someday plan a trip to visit! I'm also new to PayPal, but I think my token of appreciation went through? could you please translate the marriage cert.Rozmianiec-Jakuci. Try to use instruction from this post: http://polishorigins.com/forum/viewtopic.php?p=373#373 . You can try to split the one big file into several smaller and upload them.